14k Rose Gold Knife Edge Engagement Ring | Shane Co.
With a knife edge style, this ring design exudes distinguished elegance. 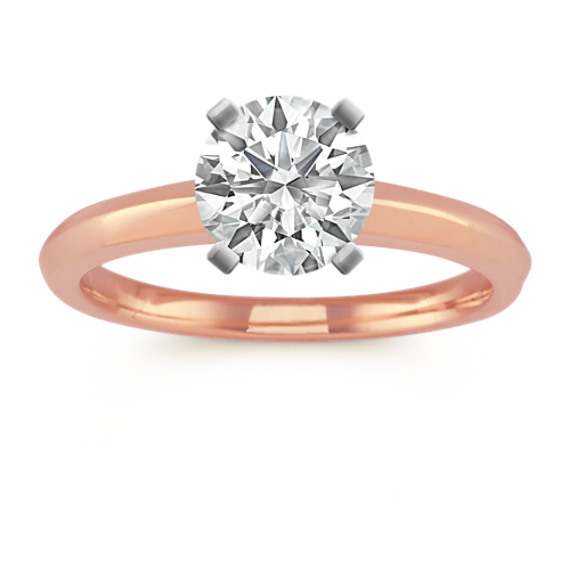 This classic engagement ring is crafted of quality 14 karat rose gold and measures 2mm wide. My beautiful custom wedding ring. Two-tone solitaire with a brilliant cut green diamond.